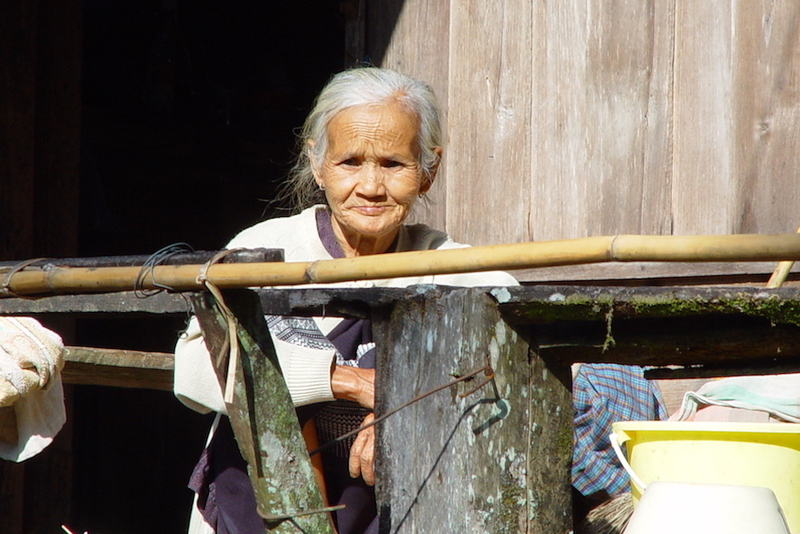 Thai people welcome visitors with open arms to their 3 distinctive regions in the ‘land of smiles’. The tropical north is home to the cultural cities of Chiang Mai and Chiang Rai, whilst the southern sun-kissed beaches gaze out to dramatic limestone karst islands and the energetic city of Bangkok is a city that genuinely never sleeps. There is so much more to Thailand than the palm-fringed beaches and luxury hotels of the south. 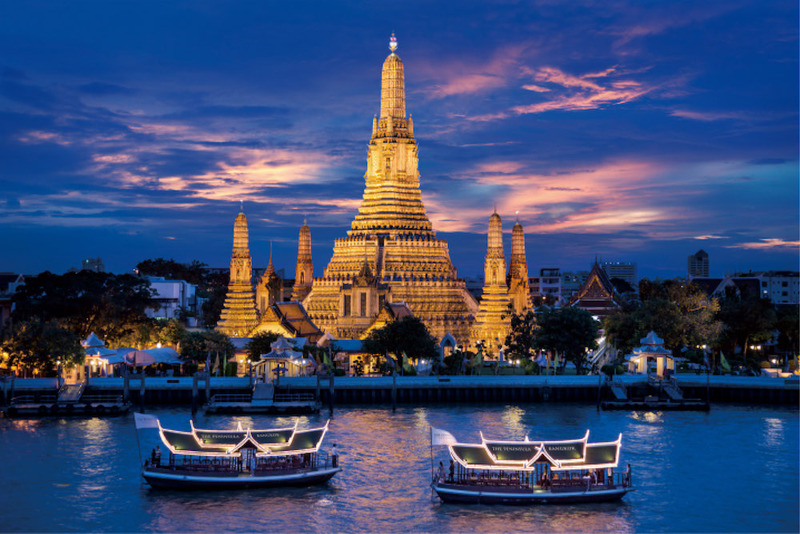 This Kingdom’s capital is the gateway to most of south east Asia and we can arrange some incredible experiences in Bangkok before jetting off to an elephant camp, a cultural wonder or a deserted beach in Indochina. The welcoming and relaxed Thai nation make this the perfect destination for families to enjoy cycling through the backstreets of Bangkok, mastering the skill of cooking a sensational Pad Thai, learning to be a Mahout or trying a number of watersports along the sweeping coastline in the south. Venture further off the beaten track to the Golden Triangle where Myanmar, Laos and Thailand meet, where elephants roam and you can visit the long necked tribes. Alternatively set sail aboard a private yacht from the Andaman coast into the Mergui Archipelago and through Burmese waters. From £1,800 per person, for 10 days including accommodation, private guiding, entrance fees and private transfers (not including flights). The Kitti’s hog-nosed bat is the smallest mammal in the world and is found in western Thailand. It weighs 2 grams and is 2cm-3cm long. Songkran (13th-17th April) is Thai New Year. When the harvest has finished, the nation enjoy celebrating the start of the monsoon by soaking each other in water. Thai food is one of the most popular foods in the world, combining sour, sweet, salty, bitter and spicy flavours. Common dishes include Tom Yam Goong, Pad Thai and Som Tam. ‘The Beach’ by Alex Garland. A British backpacker goes in search of a perfect beach in Thailand. Thai silk in the form of a scarf, a bag or a bed throw from a night market or more upmarket shops like Jim Thompson’s. There are literally hundreds of hotels to choose from in the capital. 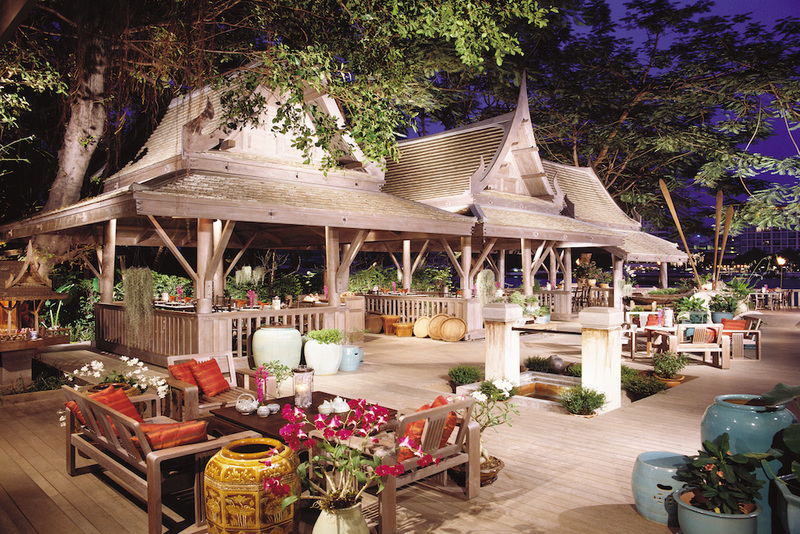 For river-front hotels our top picks are the Peninsula, the Mandarin Oriental and the Siam. 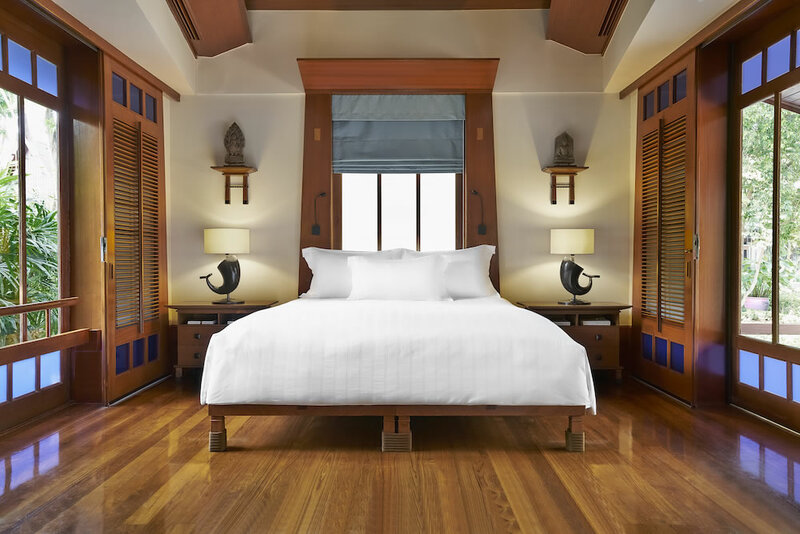 The Sukhothai and Ariyasom offer more of a Thai style, whilst the Metropolitan is fantastic value for money with the famous Nahm restaurant on the ground floor. The east and west coast have opposing weather patterns so let Wix Squared help you decide the best area to visit. 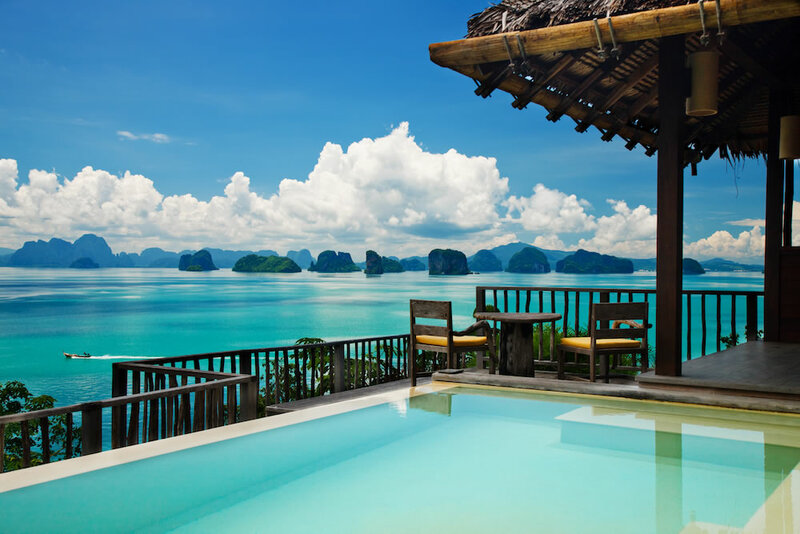 Some of our favourite beach hotels include Six Senses Koh Yao Noi with its stunning views, Soneva Kiri with its incredible villas, Amanpuri for its opulent Thai style, Trisara for its romantic vibe and The Pimalai for more laidback luxury. Chiang Mai has some lovely boutique hotels in the old city such as Tamarind Village, Anantara Chiang Mai, Rachamanka and 137 Pillars. Head further north to the Golden Triangle for the striking Four Seasons Tented Camp or the family friendly Anantara Golden Triangle, both have wonderful on site elephant camps. Thai masseuses are renowned as some of the best in the world. There are numerous hotels with excellent spas all over Thailand, but our two top spa retreats are Kamalaya on Koh Samui and Chiva Som in Hua Hin. Your decision will be made by the intensity of the experience or the location. Chiang Mai’s markets are some of the most vivid in the country and certainly not for the faint hearted. 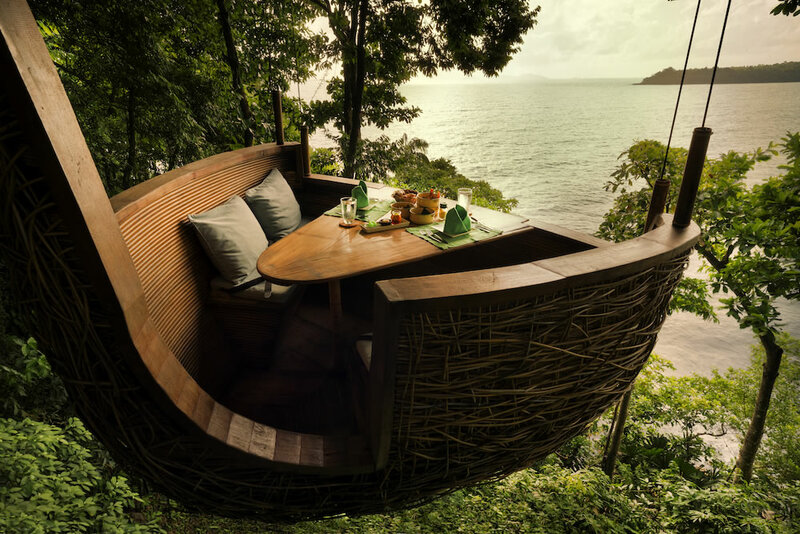 We suggest visiting them with an informed chef, before you go to a nearby organic farm to cook up a delicious Thai meal. We also have access to reservations at some of the best restaurants in Bangkok and can arrange incredible private dining experiences and street food tours all over the country. See the many highlights of Bangkok with a combination of boats, bicycles, rickshaws, tuk tuks or, to make it more interesting, on foot. 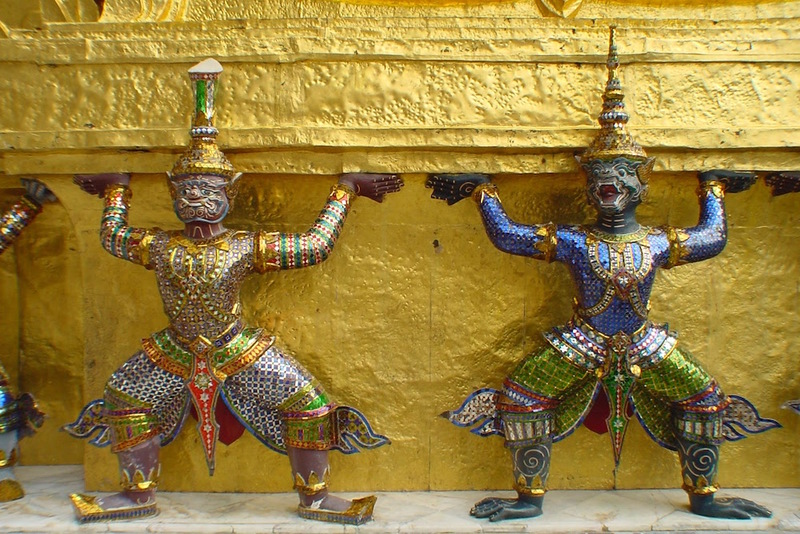 We know the best time to visit the Grand Palace and the Emerald Buddha, to avoid the crowds. We can arrange private boat trips to Ayutthaya, along the Chao Phraya River and through floating markets. We can also organise kick boxing lessons, cookery classes and visits to the flower and night markets with a private guide. Chiang Mai is where we can really make a difference. We suggest getting under the skin of this city by samlor (bicycle rickshaw) to see some of the finest ancient temples and sights in Thailand. Venture further afield to hike in the surrounding hills, meet the Karen hill-tribes and witness monks chanting in the evening from Wat Phra That Doi Suthep. There is also a fantastic Thai cooking experience we can arrange on a nearby organic farm or take a tuk tuk lesson in the surrounding countryside. The elephant is the national symbol of Thailand and as such we have developed a number of ways to appreciate this gentle giant. 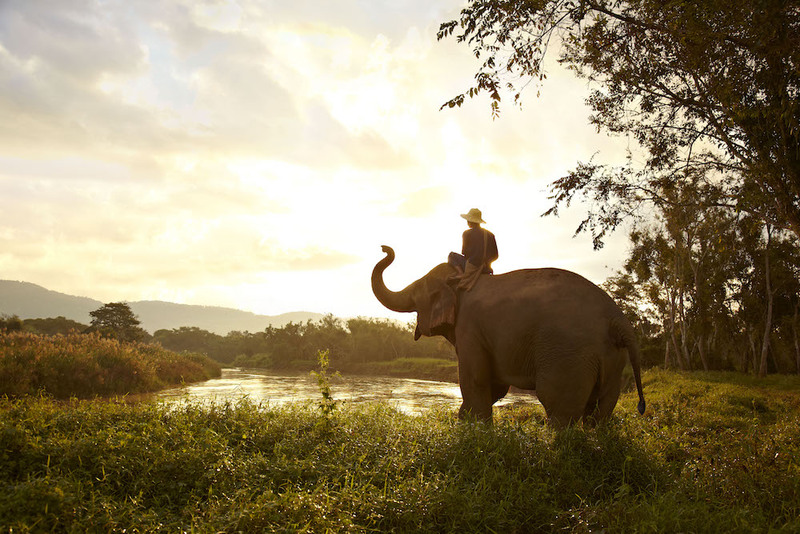 Spend the day with a mahout learning to care for retired or pregnant elephants, see them in the wild in Khao Sok National Park or watch a playful elephant polo match in Hua Hin. For an unusual activity, learn how to make paper from elephant poo fibres. Head to the very north of Thailand to hop aboard a private sampan for a two-day cruise on the Mekong, into Laos. 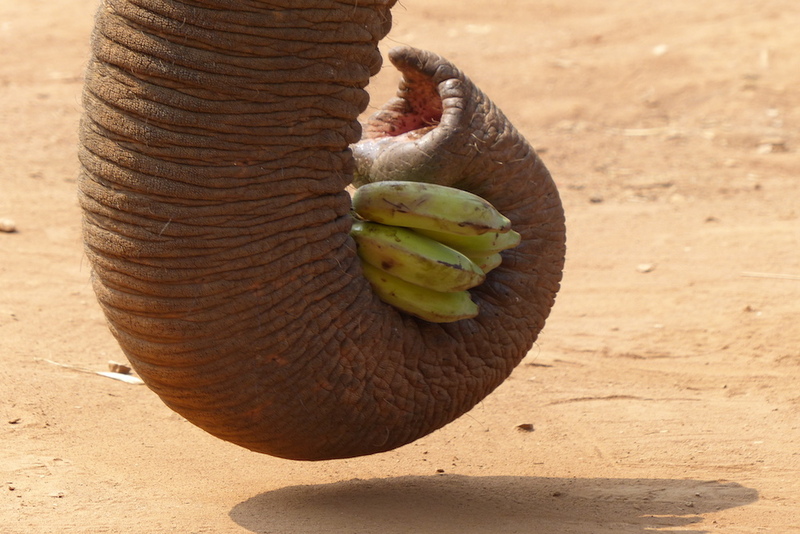 En route we can arrange beach picnics, visits to local tribal villages and elephant trekking through the forests. Try your hand at fishing or just sit and watch the world go by in this beautiful untouched part of Asia. 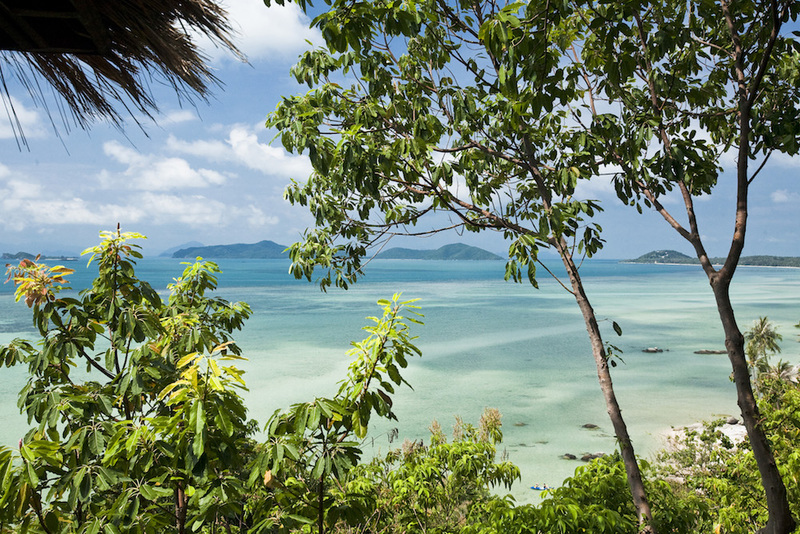 It can seem rather daunting to know where to start when selecting a Thai beach. We work with numerous luxury beach hotels and private villas on Yao Noi, Koh Kood, Koh Samui, Phuket and Krabi. After discussing your priorities, we can arrange island hopping by long tail boat, diving amongst vibrant coral, snorkelling with turtles, kayaking through mangroves and sailing between Thai karst islands or even on to Myanmar. 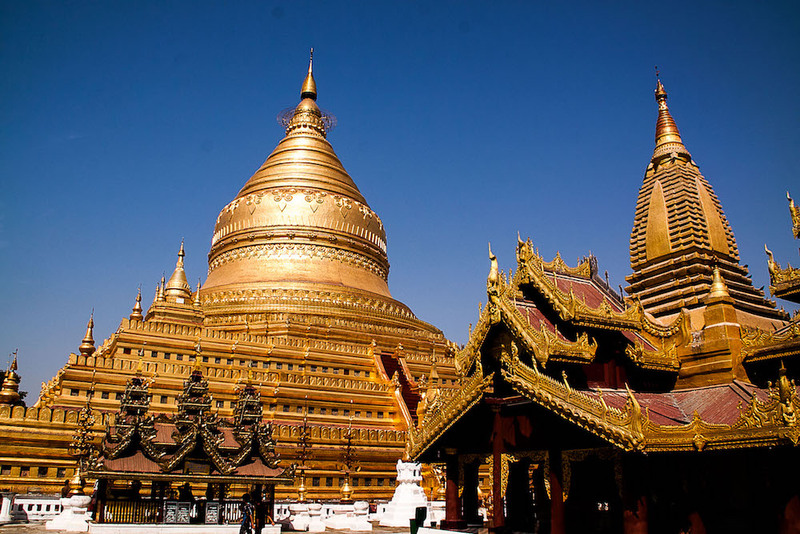 Spend a couple of nights in Bangkok before flying on to Yangon or Mandalay for incredible cultural experiences. It is also possible to sail from northern Thailand through the Mergui Archipelago to untouched Burmese islands. 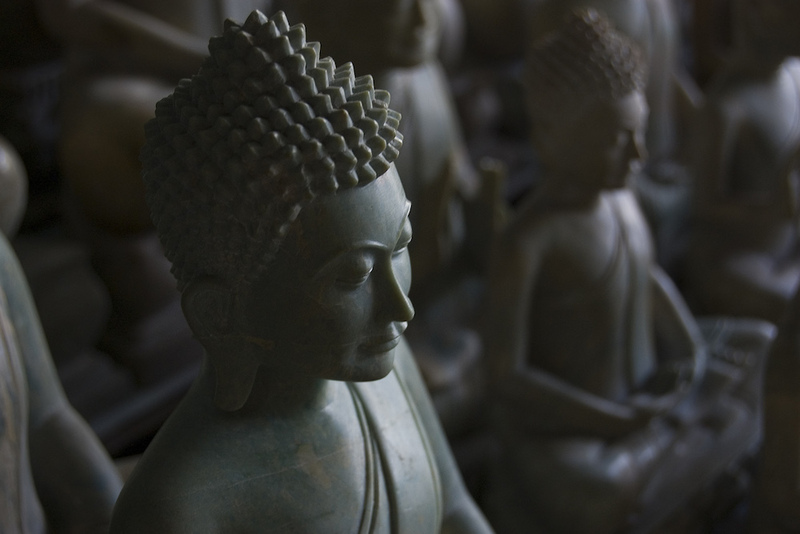 Direct flights operate from Bangkok to Siem Reap and Phnom Penh, or from Phuket to Siem Reap. Hence there are a number of ways to combine the culture of Cambodia with the beaches and cosmopolitan cities of Thailand. 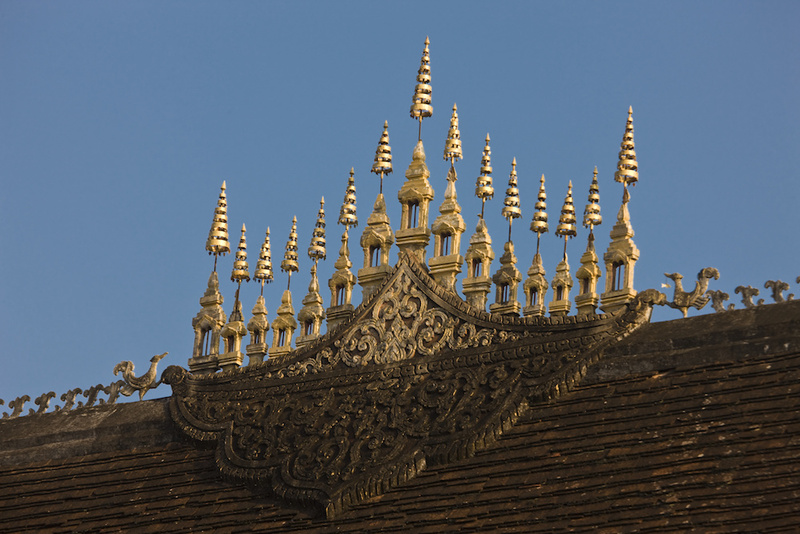 Fly direct from Bangkok to Vientiane or Luang Prabang to see some of the most opulent Buddhist temples in the region. 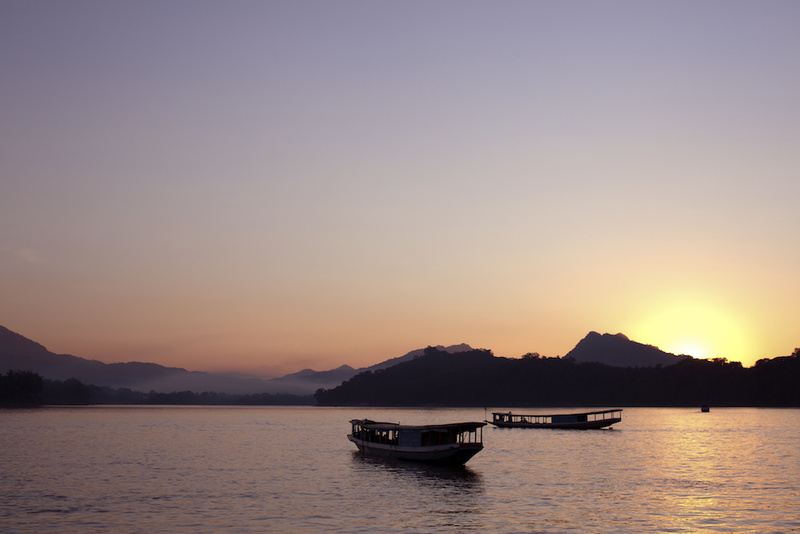 Alternatively travel from northern Thailand to Luang Prabang aboard our private sampan on the Mekong. For the ultimate good value beach destination for an event, look no further than Thailand. We have contacts with a handful of luxury villas and private houses as well as competitive rates with boutique hotels for exclusive takeovers. Combine your beach time with a couple of days in the buzzing metropolis of Bangkok for a real party scene or charter a yacht in the Andaman Sea. Culinary adventures, street food explorations, boating voyages and elephant interactions are easy for us to arrange on an exclusive basis with excellent guides and chefs to lead the way. Thailand has a tropical climate with the two sides of the Thai Peninsula experiencing opposing weather patterns. Generally the best time is November-April. However the east coast is best January-August. January is one of the driest and sunniest months over the entire country. With cool breezes along the coast and the perfect time to go walking in the north close to Chiang Mai or Chiang Rai. Thailand is the ideal place to take the family to in half term. With elephant camps in the north, a buzzing nightlife in Bangkok and plenty of sunshine on the east coast. There is great visibility under the water for diving, although you will find some haze in the north from the slashing and burning of crops. Bangkok and the east coast make excellent holiday destinations at this time of year. Welcome Songkran (Thai New Year) with water throwing competitions to relieve yourself from the high temperatures and humidity, across the country. Whale sharks can also be seen in Koh Tao and Koh Samui. The temperature is slightly more pleasant than in April and you will experience some rain, particularly on the west coast. Bangkok is less crowded and sightseeing best done in the mornings and afternoons. The hotels have some great offers at this time of year when you are likely to see short sharp showers. For the best beaches head to Koh Samui or Hua Hin. Inland you will find lush and green landscapes from the monsoon rain. For school summer holidays, head to the east coast for the most guaranteed weather. The monsoon is at its fullest in August throughout the country with the exception of Koh Samui and other east coast beaches. The monsoon continues making the countryside particularly green and lush and there are less tourists in the country meaning we can negotiate even better rates with the hotels. The second half of October is better for sunshine as the rains decrease and the rural parts of the country and rainforests are at their most beautiful. The festival of Loy Krathong often takes place in November when locals float small baskets on rivers with offerings to the spirits. The rains have lessened and there is plenty of sunshine. This is peak time to travel in terms of weather and popularity. As a result, rates are more expensive but the weather is more guaranteed (although we suggest avoiding the east coast).